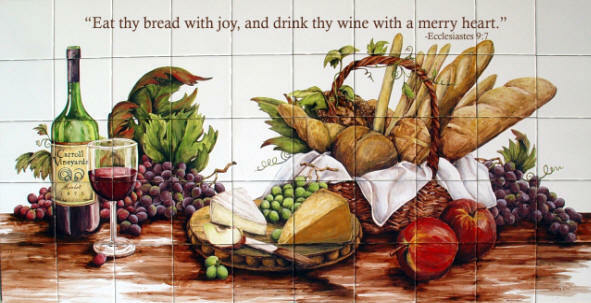 "Eat Thy Bread with Joy..."
Any tile mural can incorporate a spiritual or Christian quote. please note: tile murals pictured will not be duplicated, but a similar mural may be commissioned. "Creating custom tile murals is truly my passion. My goal is a mural which exceeds your expectations."